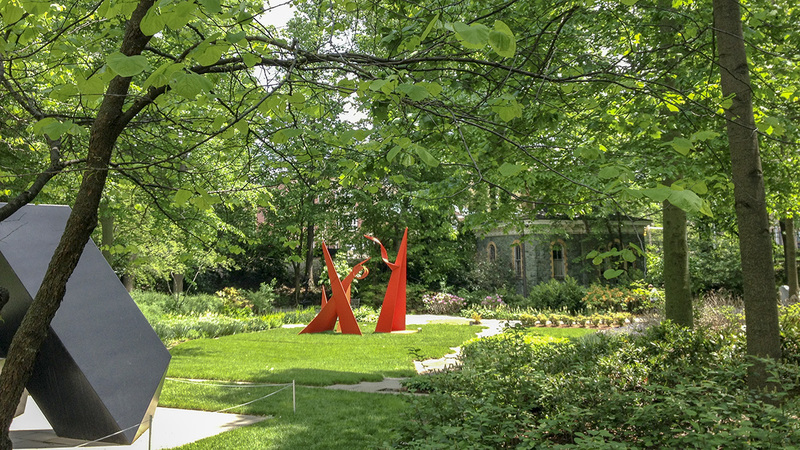 This two-acre wooded parcel was once part of the Homewood estate of Charles Carroll, Jr., whose grounds are presently occupied by the Baltimore Museum of Art and John Hopkins University. 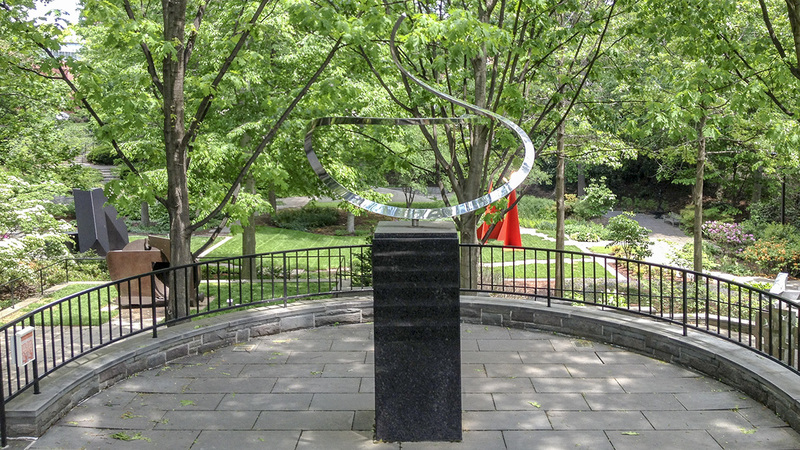 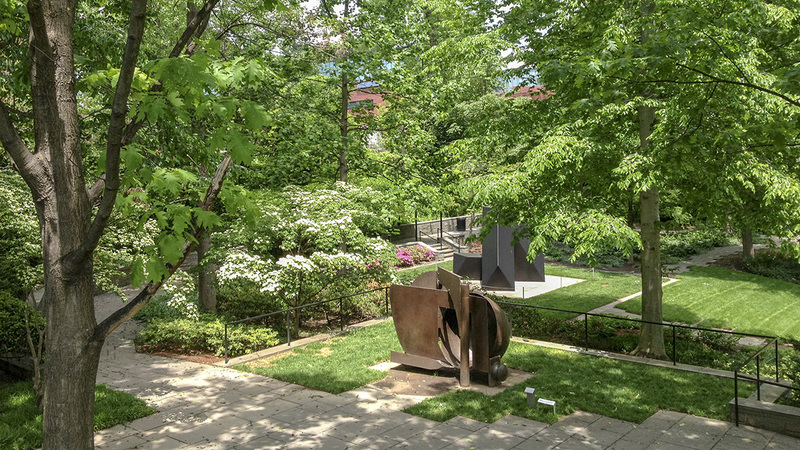 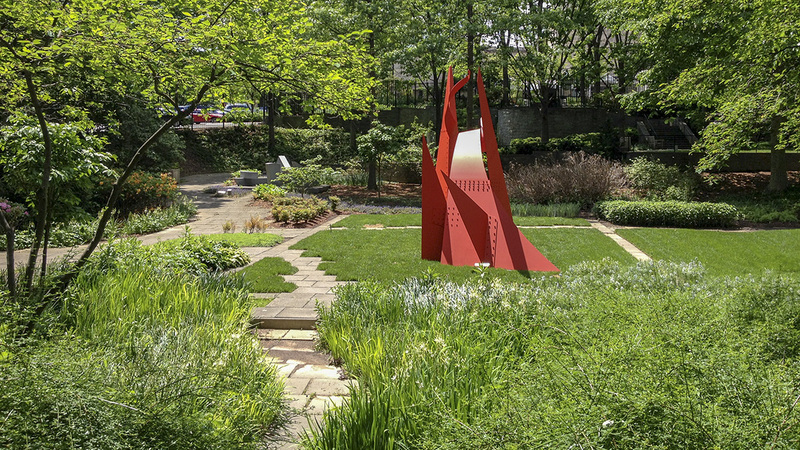 The university-owned plot remained undeveloped due to its steep inclines and irregular shape until it was leased to the museum and converted into the Ryda and Robert H. Levi Sculpture Garden, which opened in 1988. 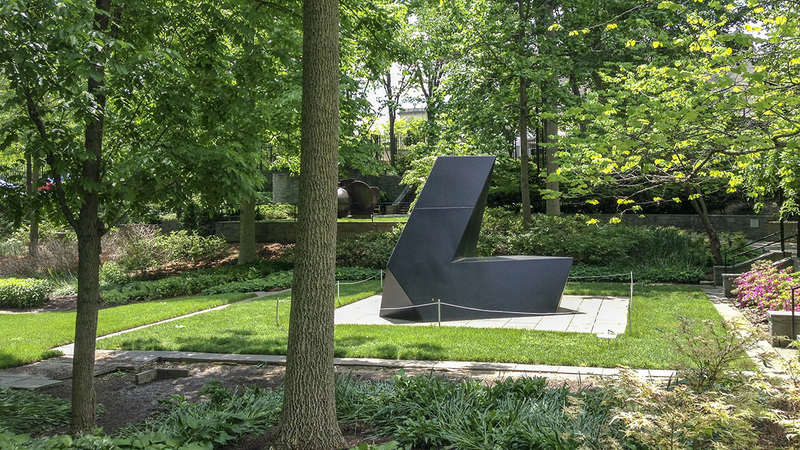 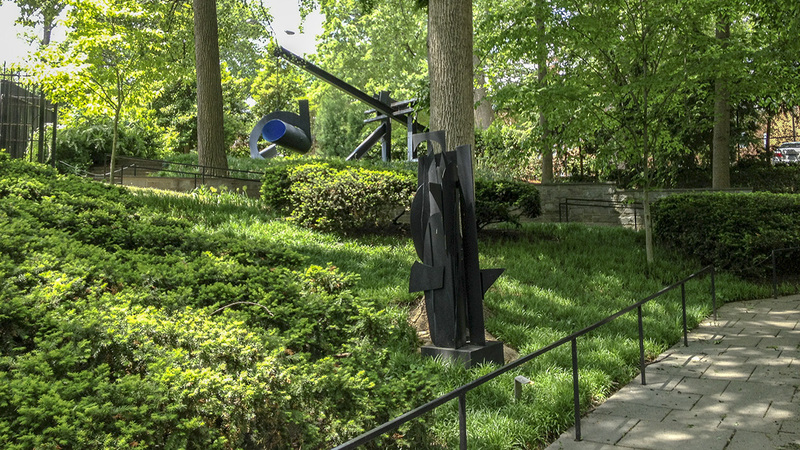 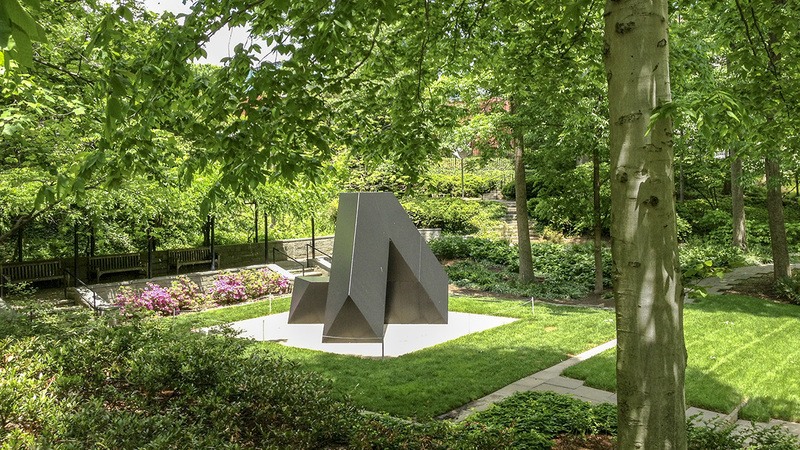 Designed by Sasaki Associates, the sculpture garden comprises fourteen abstract works, dating mostly from the 1970s and 1980s, by minimalist artists, such as Michael Heizer, Anthony Caro, Ellsworth Kelly, and Jóan Miro. 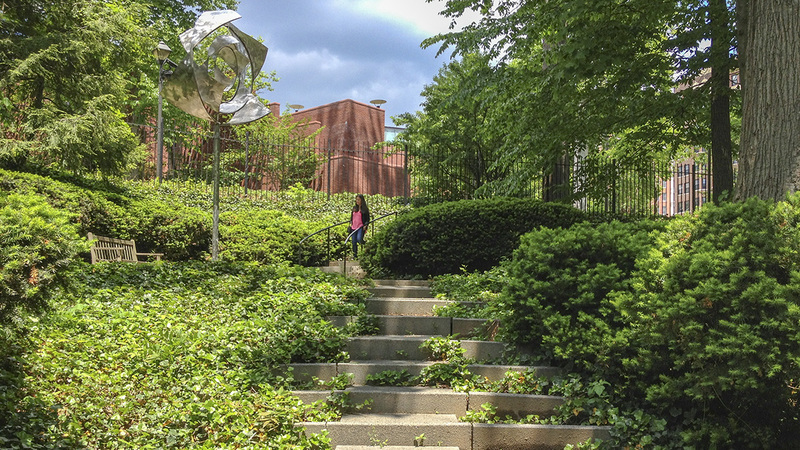 The garden is reached via wide steps that descend from the Janet and Alan Wurtzburger Sculpture Garden, which occupies a terrace adjacent to the museum. 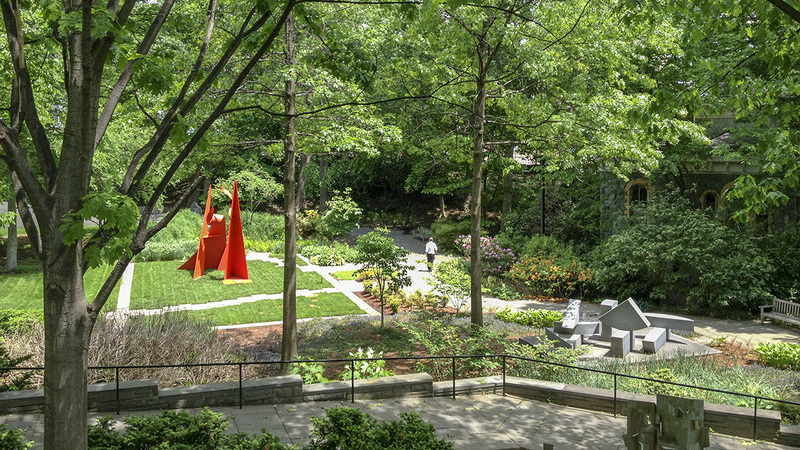 The steps lead to a wide, paved balcony, which is both the setting for the first sculpture and a lookout to the remainder of the garden, which spreads out below to cover a terraced, bowl-shaped landscape ringed by tall beech and red oak trees. 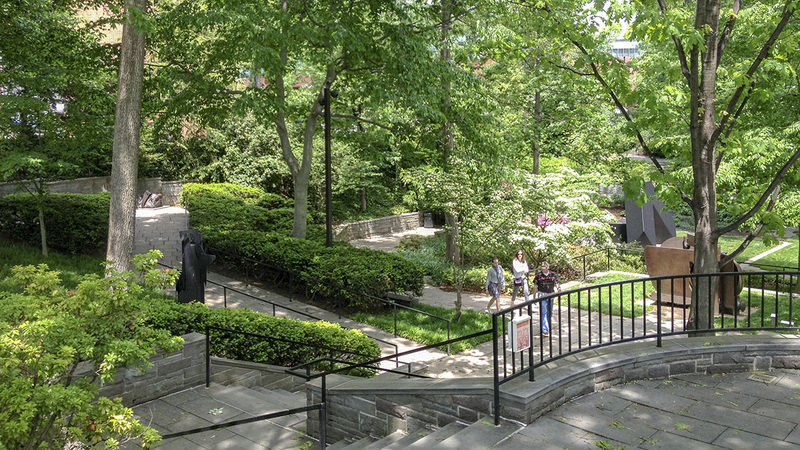 From the balcony, another staircase descends to a paved apron that connects to a network of flagstone pathways that circumambulate the site. 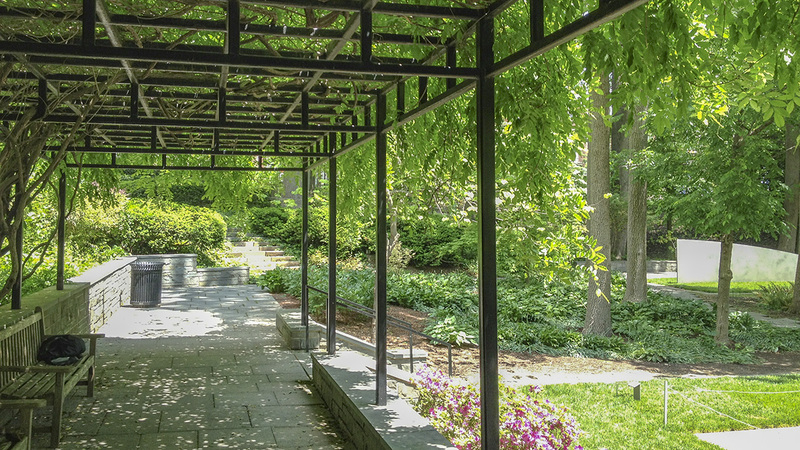 The pathways follow the contours of the land, leading past benches and a wisteria-covered trellis to a sequence of installations, with some sculptures placed in alcoves and others set within discrete, manicured sections of lawn among the otherwise wooded site. 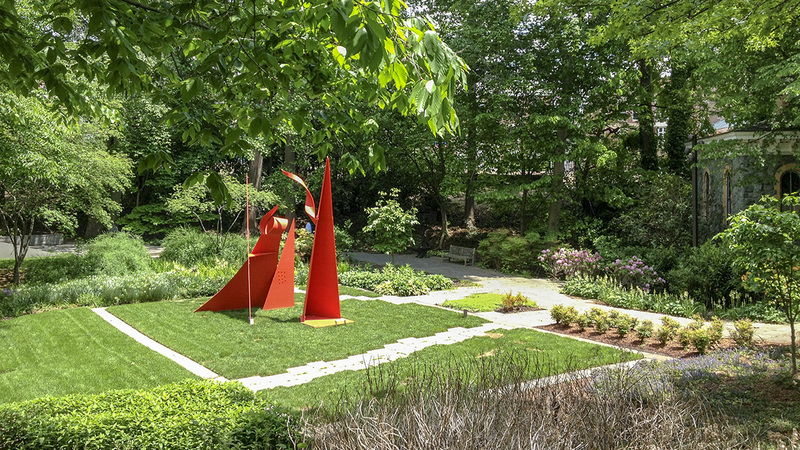 The garden is characterized by carefully selected plantings and materials, its outer edges lined with darker plants, while the brighter, centrally located grasses further emphasize the site’s steep contours.